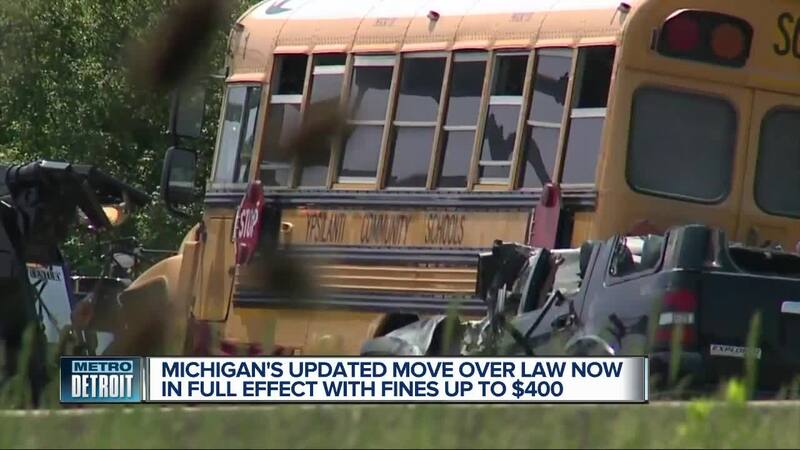 (WXYZ) — A bill that updates Michigan's "Move Over" law went into effect on Wednesday and could cost drivers up to $400 if they don't follow it. "Over the past 7 to 8 weeks, we’ve had almost 20 cars hit across the state," said Lt. Mike Shaw with the Michigan State Police. 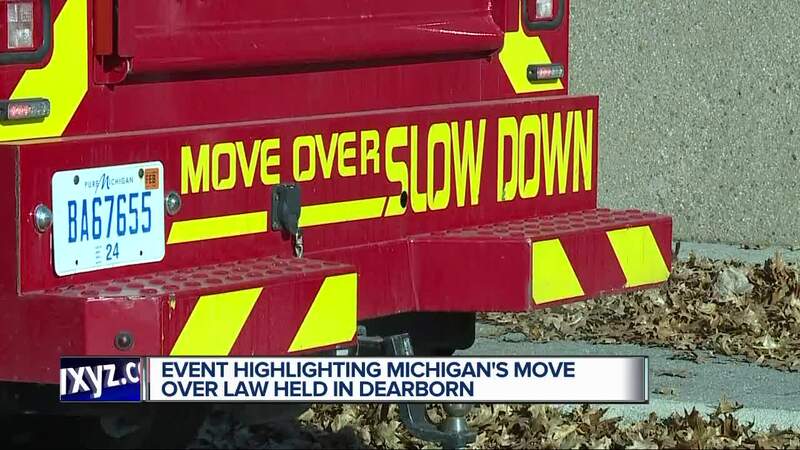 According to the Michigan Office of Highway Safety Planning, the expanded law penalizes drivers if they don't move over a lane and slow down if there are any emergency vehicles on the side of the road with lights flashing. Those vehicles include police, fire, EMS, tow trucks and much more. 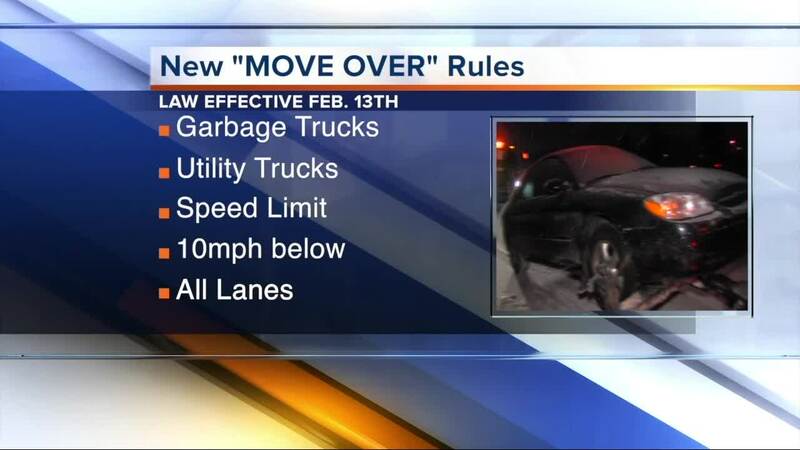 The office said that the new law requires drivers to slow to 10 mph below the posted speed limit and move over a lane if possible. If there isn't room or weather and road conditions don't allow for moving over, they ask to slow down greatly and pass with caution. "We’re seeing tow truck drivers killed on the side of the road," Shaw said. In May 2018 , Nader Chehadi was hooking up a disabled bus when a drunk driver slammed into the back of the bus, killing Chehadi. His uncle and co-worker went to the scene to check on him. "Its hard to reconcile that when you were with him 15 minutes ago at the office, he goes to run a call, and… the whole world changed at that point," said Chehadi's uncle, Fady Salamey. Salamey says with putting his life on the line with every call, and his nephew losing his life because of it, he hopes the enhanced "Move Over" law will hopefully start making a difference. "It's a step in the right direction," Salamey said. The law does not require moving over for an emergency vehicle without its lights on, but you should always pass with caution and give the vehicle as much space as possible. Also, MSP says they aren't going to be setting traps by using decoy vehicles with their lights on, but they will be enforcing this rule using common sense. And if they catch you, it'll cost you.